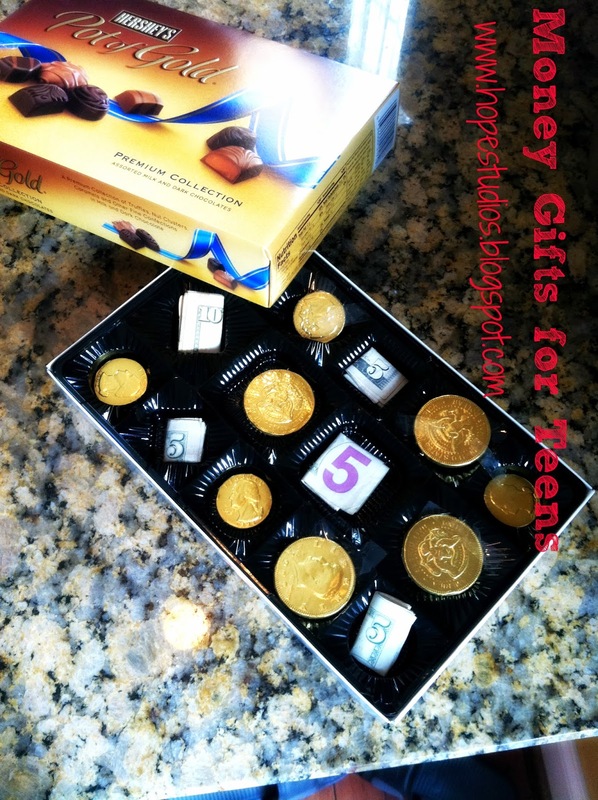 Maybe I'm a pooper, but I hate to give teens an envelope of cash for holidays. I know it makes them happy, but I love the look of disappointment when they see a box to open when they asked for money. This year, I disguised cash in a couple different ways. 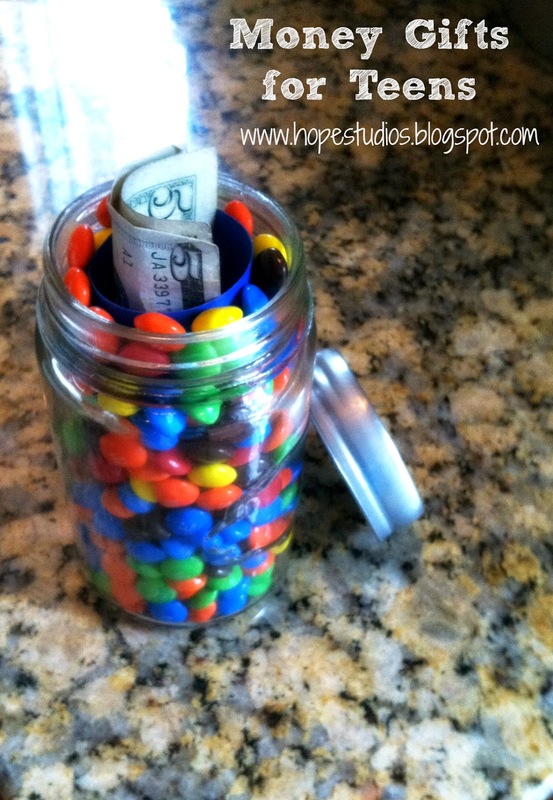 Above, I made a tube from card stock and placed it into a jar with cash inside. Then, I filled up the jar around the tube with candy and screwed on the lid. Heh, heh, the poor kid thought he was getting a jar of candy for his 16th birthday! Hilarious. I love your ideas. I will definitely be giving them a try.